Kids' Cityscape Mural in Watercolors - This fun kids' mural highlights busy city life in gorgeous watercolors. Young kids have so much fun pointing out all of the familiar vehicles and buildings in this busy city mural. They're so proud when they can identify the police car, taxi cab, delivery trucks, city park, bookstore, American flag, and more. They can count the people, name their colors, and make up stories about the people moving about. 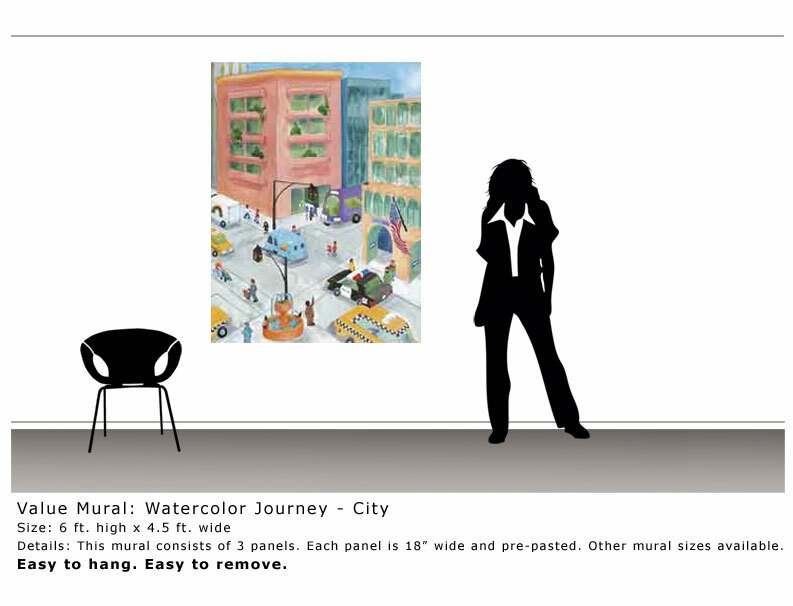 The Kids' City Mural in Watercolor is available in three sizes to fit your space. 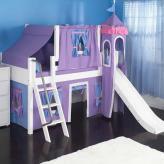 The largest size will cover a full wall at 8ft. tall and 12ft. wide. 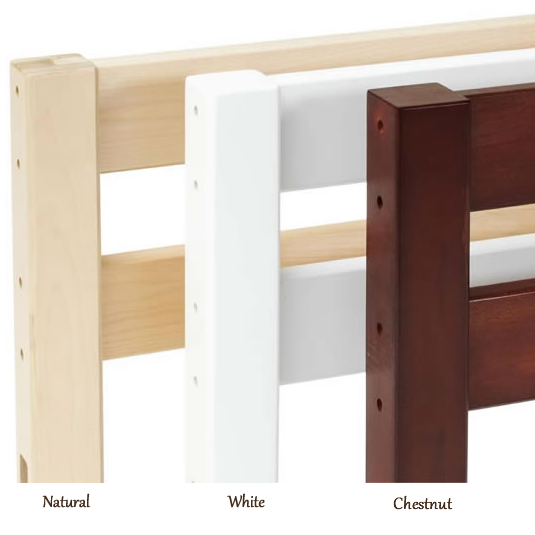 Choose from the Kids' City Mural sizes below. 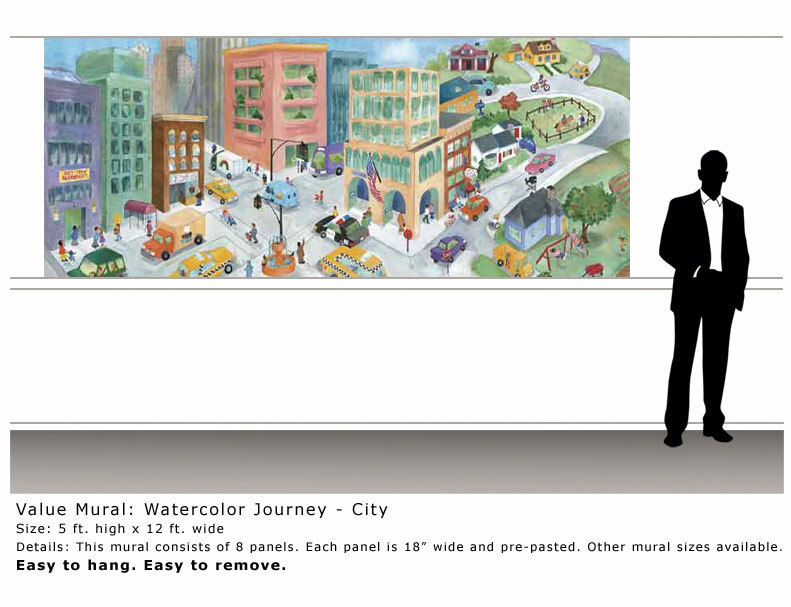 Available Sizes for Kids' City Mural in Watercolor - View the images on the left to see the details included in each city mural along with a better perspective of size. 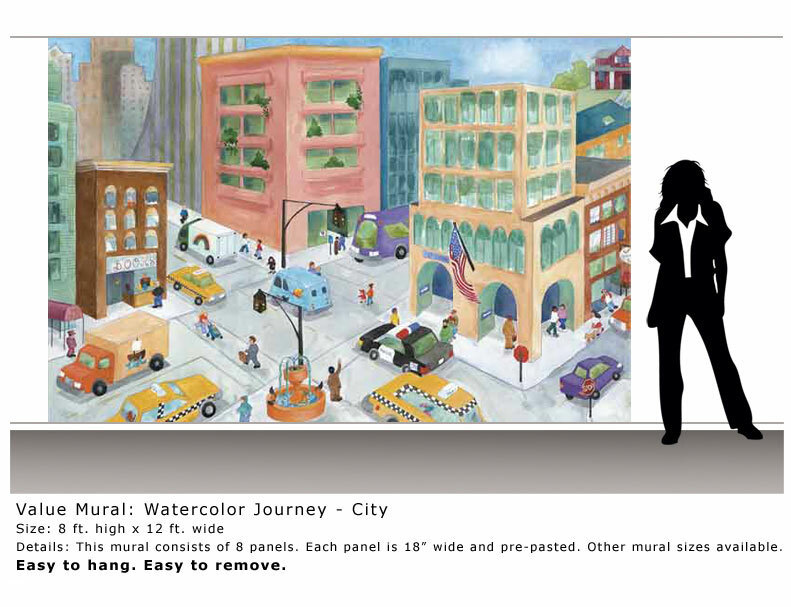 Choose your kids' city mural size using the options below. 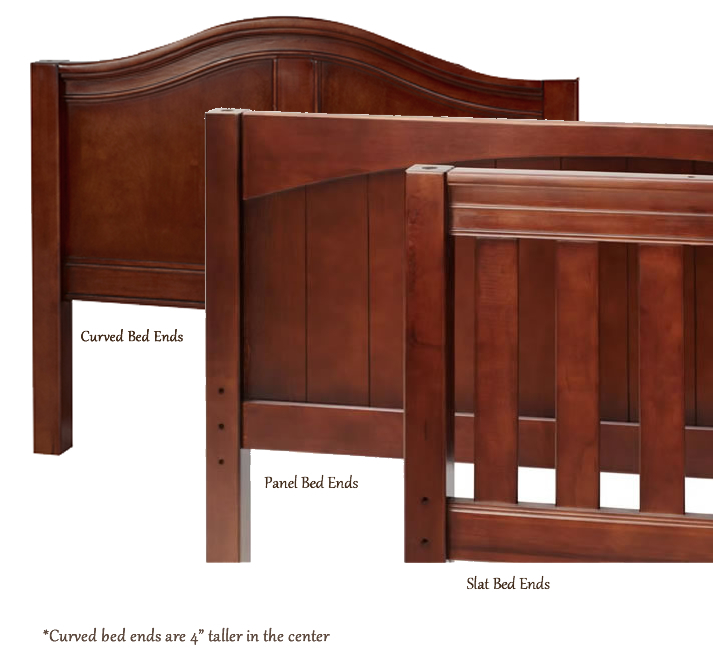 All sizes ship in 18" pre-pasted panels for easy installation.